I often see a lot of misconception surrounding vegetarianism from many people in the real food community and vice-versa. In my opinion the paleo/WAPF/traditional foods movements and vegetarians have a lot in common (see my article Not All Vegetarians Are Created Equal). So, I wanted to create this two part series on what a real food vegetarian eats. 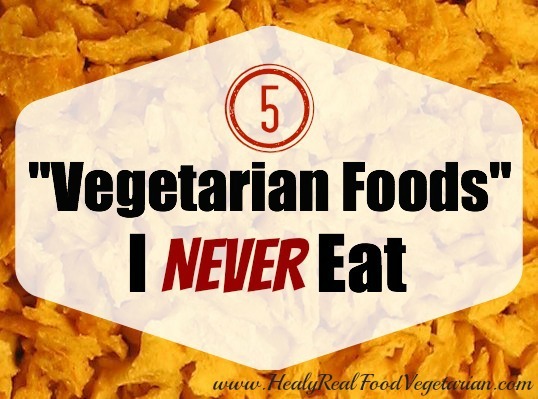 I’m starting off with a list of 5 “Vegetarian Foods” That I Never Eat and why. I’ve also created a list of 5 Real Food Vegetarian Protein Sources so you can get an idea of the kind of food that a real food vegetarian eats! Most of the items on my list of ‘Vegetarian Foods I Never Eat’ are highly processed foods. The “Real Food” movement is most commonly defined by the avoidance of processed foods. Of course, considering the fact that processed food is so prevalent in the American diet, the lines between natural and processed have been blurred. Many packaged food products have the word “natural” written right on it, further confusing average consumers who may not have the time to analyze these products and all the ingredients in them. In this day and age it’s hard to completely avoid processed food and I can’t say that I’m perfect, but I do try my hardest to avoid it at all cost. In my opinion, processed food is packaged food (even if it says natural on it!). If you don’t know how it was made or can’t make it yourself at home, that’s a pretty good indicator that it’s not natural. However, I think the 80/20 rule is good way to live, meaning that you eat healthy 80% of the time and every once in a while (20% of the time) you go out with friends and get a pizza or ice cream or whatever. Trying to be perfect all the time can cause major stress which is also unhealthy! This list is not intended as a list of foods that YOU should never eat. It is however a list of foods that I myself do not eat and would encourage anyone to exercise caution before consuming. I often get emails from readers asking me what I eat, so I want to start with what I don’t eat. I will share a few foods that are commonly regarded as health foods and are widely considered to be “vegetarian food” that I try to avoid. Whether or not YOU should eat these foods is up to you. Make your own informed decision. Look at all the relevant information out there and decide what is best for you. Soy, which is what tofu is made of, has been shown to have many troubling effects on health. Just to name a few: soy is high in phytates (phytic acid) and trypsin inhibitors which makes it hard to digest and even blocks absorption of certain vitamins, minerals and proteins. To break down this anti-nutrient (phytic acid) in grains and legumes, it helps to sprout or soak them. However, this is not enough for soy. It needs to be fermented to effectively reduce phytic acid. Although Asian cultures have thrived despite consuming soy for centuries, they have traditionally only eaten fermented soy (like soy sauce, tempeh, natto and miso) in very small quantities. When I say traditional, I mean before the industrial revolution came about which allowed food to be created in factories and become highly processed. Of course, today in Asia most people consume as much soy as Americans do, but they also eat a lot of other unhealthy processed foods like us too. 94% of soy is Genetically Modified (GMO). Since soy is one of the most vastly grown cash-crops in the US, it’s not surprising that it’s in everything. The over-processing of soy can create a dangerous product. Soy lecithin, soybean oil, mono- and di-glycerides and MSG (monosodium glutamate) are all common derivatives of soy. Soy also contains phytoestrogens which can disrupt normal hormone function. I experienced this hormonal disruption first-hand and have heard testimonials from others with similar stories. Years ago when I used to eat a lot of soy I always had a very irregular menstrual cycle. A woman’s period should come roughly every thirty days, but I could never count on mine coming at the same time each month. Sometimes it would be every other month sometimes it wouldn’t come for three months, I never knew. I even went to an endocrinologist after a while to see if they could get to the bottom of it, but the doctor wasn’t able to explain it and told me that it didn’t really matter unless I was trying to conceive. When I started reading up on the issues with soy I decided to stop eating it. It’s been a few years since I’ve regularly eaten soy and my menstruation has been completely regular ever since. I rarely eat soy products and if I do, I make sure it is organic or non-GMO and fermented. I definitely don’t depend on it as a primary source of protein. Although they are commonly thought of as a health food, I would not consider them as such. Most store bought veggie burgers have tons of industrially processed chemicals, additives, MSG, GMOs and unhealthy oils. However, making homemade veggie burgers can be a great alternative! I often make my own with ingredients like sprouted lentils, vegetables, sprouted or soaked rice, quinoa and pasture raised eggs. To show you an example of how processed store-bought veggie burgers actually are, I’ve written the ingredients for a morningstar burger below. It’s a veritable cocktail of industrially processed oils, GMOs and MSG! Food companies routinely mislead consumers by hiding MSG in packaged foods that would otherwise appear to be free of MSG. It is not only listed on ingredients labels as monosodium glutamate anymore, it’s also hidden in many foods listing yeast extract, anything “hydrolyzed”, textured protein and more (from Beautiful Babies). *Many ingredients are both MSG and GMO, but I just labeled one or the other. 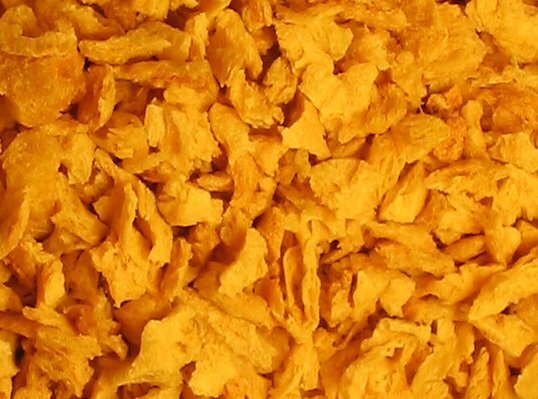 TEXTURED VEGETABLE PROTEIN (SOY PROTEIN CONCENTRATE, WHEAT GLUTEN, WATER FOR HYDRATION) [GMO], CORN OIL [GMO], EGG WHITES, CALCIUM CASEINATE [MSG], CONTAINS TWO PERCENT OR LESS OF MODIFIED TAPIOCA STARCH [GMO], ONION POWDER, MIXED TRIGLYCERIDES [GMO], CANOLA OIL [GMO], HYDROLYZED VEGETABLE PROTEIN [MSG] (CORN GLUTEN, WHEAT GLUTEN, SOY PROTEIN), DEXTROSE [GMO], SOY PROTEIN ISOLATE [GMO] , NATURAL AND ARTIFICIAL FLAVORS [MSG], SALT, YEAST EXTRACT [MSG], SUGAR [GMO], CARAMEL COLOR [GMO], WHEY [MSG], METHYLCELLULOSE [GMO], SPICE [MSG], GARLIC POWDER, MALTODEXTRIN [GMO], DISODIUM INOSINATE, DISODIUM GUANYLATE [MSG], SOY SAUCE (WATER, SOYBEANS, SALT, ETHYL ALCOHOL, WHEAT) [GMO], AUTOLYZED YEAST EXTRACT [MSG], ASCORBIC ACID [GMO], THIAMIN HYDROCHLORIDE (VITAMIN B1), NIACINAMIDE, SESAME SEED OIL, SOY LECITHIN [GMO], IRON (FERROUS SULFATE), THIAMIN MONONITRATE (VITAMIN B1), PYRIDOXINE HYDROCHLORIDE (VITAMIN B6), RIBOFLAVIN (VITAMIN B2), VITAMIN B12. Shocking right?! What you have left is egg whites, onion powder, salt, garlic powder and a bunch of synthetic vitamins… Yum! Get all 5 healthy veggie burger recipes and more in my ebook Gluten-Free Vegetarian! Like I said above in regards to tofu, I avoid soy because of the health related concerns I have with it, because it is highly processed and because 94% is GMO unless labeled otherwise. 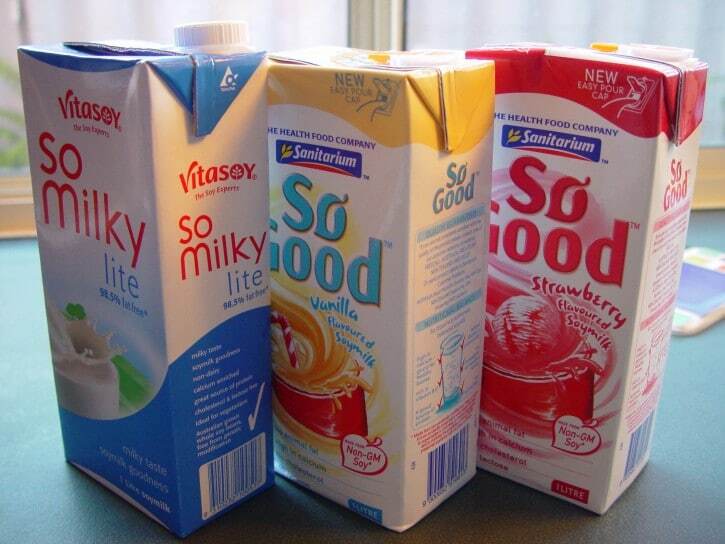 Apart from that, soy milk also has additives and sweeteners that make it far from healthy. Soy milk is rarely just soy beans and water. It often contains sugar, “natural flavor” (which usually contains MSG), and carageenan which has been shown to contribute to gastrointestinal problems and colon cancer in clinical trials (Carageenan Study). powder and took a sip…I spat it out immediately! It was disgusting! This is why almost all soy milk has added sugar because I don’t think that most people would drink it without some kind of sweetener! Most of these butter substitutes are full of canola and soybean oil. Canola and soy are both commonly GMOs unless stated otherwise, but I avoid them even if they are GMO free. Although canola oil is vastly regarded as a healthy oil, many (including myself) agree that it is far from healthy and marketed as a healthy oil by big food companies hoping to make a profit on cheap oils. Read more about canola oil here. I would consider pure olive oil or coconut oil to be a much better alternative for vegans (Find high quality olive oil and coconut oil here). Both soybean oil and canola oil are high in polyunsaturated fats (PUFAs) and the industrial processing of these oils creates free radicals which can cause all kinds of health problems and has been linked to cancer. Textured vegetable protein. It’s meant to sound very nice isn’t it? Like it’s made all naturally from vegetables, but it’s basically more soy! 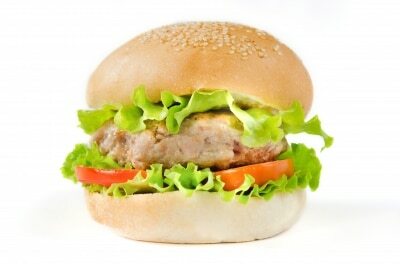 TVP is used in a lot of fake meat products like veggie burgers, soy sausage, tofurkey, etc. Doesn’t sound so natural anymore does it? It sounds like a science experiment rather than food. I don’t know about you, but I’d rather not have any trace of hexane in my food. The process of creating TVP also creates free glutamic acids which is MSG. MSG has been linked to brain damage, nervous disorders and hormone problems (from beautiful babies). 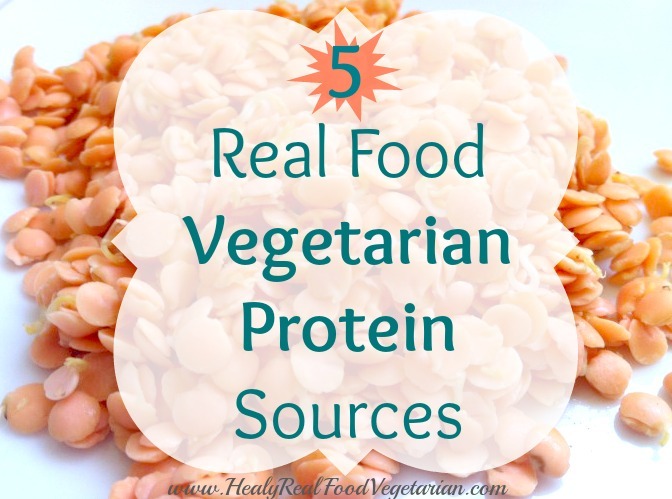 Check out my post 5 real food vegetarian protein sources! 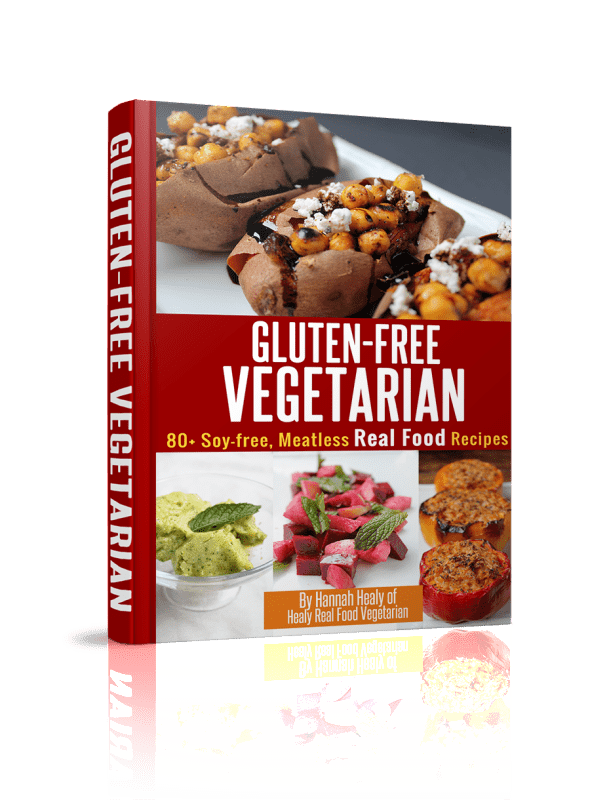 For real food vegetarian recipe ideas, check out my NEW ebook Gluten-Free Vegetarian! Click here for more info! Like what you’ve read? Use the box below to sign up for my FREE newsletter to keep up to date on my latest posts! Information and statements regarding health claims on this blog have not been evaluated by the Food and Drug Administration and are not intended to diagnose, treat, cure, or prevent any disease. 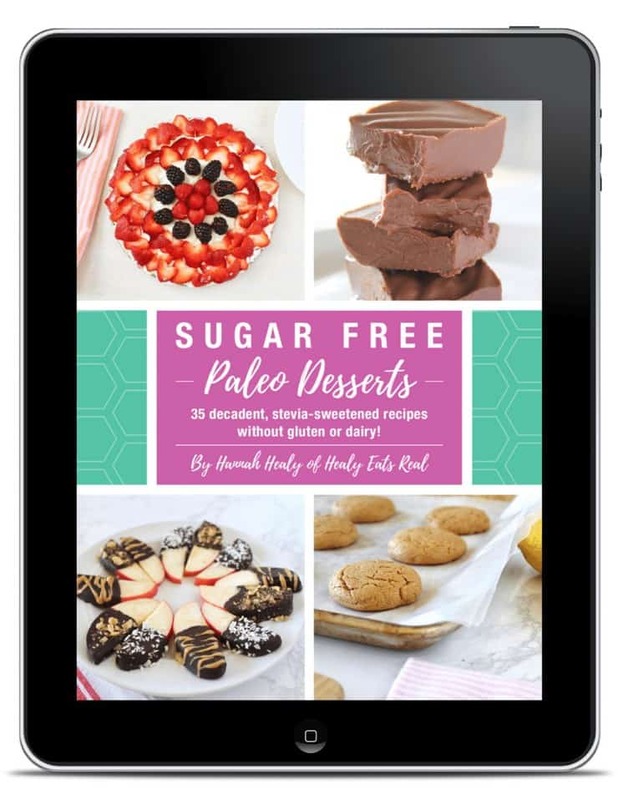 By submitting your name and email you will receive a free copy of the 6 Easy Tips to Quit Sugar Ebook and are consenting to receive regular newsletter emails from Healy Eats Real including information about our products and special offers. You can unsubscribe at any time. 5 Best Hangover Home Remedies that REALLY Work! Healy Eats Real is a participant in the Amazon Services LLC Associates Program, an affiliate advertising program designed to provide a means for me to earn fees by linking to Amazon.com and affiliated sites. Thanks Gabe! Coconut oil is a much better alternative! Going along with the hormone disruption caused by soy phytoestrogens discussed above, people with a history of hormone-sensitive cancer should absolutely avoid soy, especially in its processed forms. Linda McCartney was one of my culinary and animal rights heroes and I first became interested in the benefits of a vegetarian diet because of her advocacy. I believe that, sadly, the cancer that killed her was either caused or exacerbated by her frequent use of TVP and other processed soy products. Interesting perspective Kristen. I hadn’t thought about that in respect to Linda McCartney. Thanks for sharing! I am not vegetarian so I do not eat a lot of soy- but I purchase only certified organic tofu and soy milk (unsweetened). I support the concern however given over 90% of what is out there is genetically modified. Plus- I am feeding myself and my husband- no human children– I can understand the caution- it being a potential endocrine disruptor in developing children. Amen, Kendahl! I’m a semi-veggie animal lover who used to actually eat that stuff before I got endocrine cancer and was warned off of it by the medical personnel who took care of me. I’m fine now, except for a couple of missing glands and a lifelong dependence on medication. Others aren’t so lucky. You’re so right, it’s not fooood! For some of us, it’s as close to poison as I ever want to get. I buy a lot of my staples in bulk from Amish stores or emergency supply houses and I’m appalled at how much chemically flavored TVP is for sale as “meat substitute.” Look, if you want to eat meat, then find yourself a nice local farmer or two who raises his/her livestock animals in a humane and natural manner – grass fed, free range, etc. – and make yourself a reliable and supportive customer of that farmer. Or raise your own. If that’s a little too “up close and personal” for you, then don’t eat meat. It’s not as though you can’t have a delicious and healthy diet without it. Either way, we are all designed to eat real food, not that fake, plastic, processed stuff, and that’s true for dogs, cats, chickens and pigs as well as for humans. Sorry, stepping off my soapbox now. This is an issue I’m really passionate about. Good on you for trying to get the word out. Wow, Kristen, happy to hear you’re in good health now! I’m glad and somewhat surprised that the medical personnel told you to stop eating TVP. So many people (including doctors) still think it’s “health food”! Thank you Kendahl! I agree TVP creeps me out! They’re are different kinds of vegetarians. People who do not eat beef, pork, poultry, fish, shellfish or animal flesh of any kind, but do eat eggs and dairy products are lacto-ovo vegetarians. Well actually Asians, Vietnamese like myself, eats a lot of soy products and have done so at least as long as my mother can remember, she is 60 years old today. She grow up on Tofu and soy milk and there are no fermented soy products like Nato or Tempeh in Vietnam. Just the fact that you assume that no one likes soy milk without sweeteners makes your article dumb, we have never used any sweetener for soy milk and most Vietnamese do not. I know of villages where Tofu and other soy products have been eaten for centuries, everyday. Sounds like you have been brainwashed by the meat industry. Considering that I am a vegetarian who does not consume meat, it would be safe to assume that if the meat industry were trying to “brainwash” me, it has failed. I’m referring to how much soy Asians ate traditionally (as in more than 100 years ago, before the industrial revolution). I’m aware that in Asia today the general population eats a lot of soy, like they eat a lot of other processed foods. I would not recommend that anyone eats the kind of diet that is common today that is high in processed foods regardless of where it comes from. Traditionally though, it wouldn’t have been feasible to eat many of these soy products like TVP because the industrial machines required to make them would not have been available. Soy is highly processed and is an additive in most packaged foods (as soy lecithin, soy protein, soybean oil), so people today are eating it in higher amounts than they ever would have traditionally (including asia). Please refrain from using insults in your comments or they will be deleted. I absolutely agree with and appreciate your attitude – we are all real foodies and have more in common than differences. When I adapted a real food diet my appreciation for vegetables exploded – I’m now growing my own! But I eat meat. Always have, always will and think I am healthier for it, and would debate what may well work for another. But as you illustrated so well, none of these “healthy” foods is real food either. Thank you so much for this info. I am only 4 months into being Vegetarian, but I also don’t eat eggs or cheese if I can help it at all. Can’t quite call myself Vegan though. Anyway, in my transition where in my two kids and husband aren’t going Vegetarian except when I am cooking, I have relied pretty heavily on these mock meats thinking they are healthier than meat. It is good to know sooner than later that that is a misconception on my part. I will be cutting back on the tofu, trying to use good oils more than earth balance and cutting out mock meats altogether. I will also be sharing your ingredients for the Morningstar burgers with my friend who relies heavily on them. I knew they were bad and quit eating them long before I went Vegetarian. I look forward to your post on what you do eat! After years of low animal intake and being encouraged by vegetarians we knew, my family became lacto-ovo veggie in 1966 I think, the year I turned 15. Years later in the 80s, with the encouragement of my then-wife and meeting a very pleasant and healthy vegan, I dropped dairy (had already reduced refined grains and sugars) and discovered that the allergies I had had all my life went AWAY. Almost immediately there was relief from the hay fever that hampered my breathing and required clearing mucus from throat and nose every morning and prevented me from mowing the lawn because I couldn’t see if I did. Over the next year or so a dangerous (and becoming deadly) wasp allergy went away. If I get stung now, it only hurts, like anyone else. I’m a believer in wholefoods. My most recent full physical placed all my bloodwork in ideal ranges. They did a colonoscopy, and the colon specialist could not find even one of the precancerous polyps they EXPECT to find in a middle-aged or older (Hi!) American male today. He said it was the cleanest, healthiest colon he had ever seen. Which brings me to the point of the article: I have known hundreds, if not thousands, of vegetarians and vegans over the years. The only ones I have known to get colon cancer are those using either lots of dairy (cheese, notably) or lots of “meat analogues” – fake meats. If they use it as a staple food, they’re in the same vulnerability as meat-eaters or worse, because the hardly-digestible mass goes through the intestines slowly and obstructively, just like the heaviest meats. There is food. It grows in the earth and out of it. It supports life. And there are industrially manufactured “food-like substances” that really don’t. I was wondering if soy effected your hormones do chick peas? Chickpeas as well as many other legumes and seeds all have plant based estrogens in similar amounts. If soy is the culprit it’s not the only one. Although studies have shown plant based estrogen has little effect on human hormones. Also soy milk is not the only plant based milk in stores. Most of them do including almond, coconut, and oat. thanks for the interesting information!! i do like soy products but limit myself to tempeh, soymilk & soy yogurt. i always get the soymilk that is just soybeans and water. i have noticed carageenan gives me a stomach ache. i started making my own soy yogurt by adding half a cup of commercial soy yogurt to a quart of soymilk. 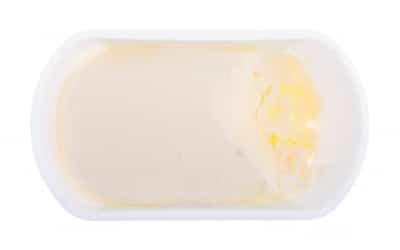 it cuts down on the sweeteners used in the commercial soy yogurt. 1. does yogurt count as a fermented product? will making yogurt out of soymilk help eliminate some of the things mentioned in this article that are less desirable to consume (the phytic acid & trypsin inhibitors)? 2. i only buy products that are made with organic soybeans. does this mean that the soybeans are non-GMO? the label does not state specifically that it is non-GMO. 3. as a male, am i less susceptible to the phytoestrogens in soy? i haven’t really noticed anything and i consume soy almost daily. what negative effects might the phtoestrogens have on a man? thanks for any helpful info! You are wrong about tofu being highly processed, sorry. Anyone can make tofu at home just as they can make fresh cheeses like paneer – soak and grind soybeans and coagulate, basically. If this is a “highly processed food” then you are buying the wrong tofu. And your info on how much of soy/tofu products Asians eat in Asia is wrong too. Check your facts. I’m referring to how much soy Asians ate traditionally (as in more than 100 years ago, before the industrial revolution). I’m aware that in Asia today the general population eats a lot of soy, like they eat a lot of other processed foods. Traditionally though, it wouldn’t have been feasible to eat many of these soy products like TVP because the industrial machines required to make them would not have been available. Soy is highly processed and is an additive in most package foods (as soy lecithin, soy protein, soybean oil), so people today are eating it in higher amounts than they ever would have traditionally (including asia today). Excellent points made here, thank you. As far as a butter substitute, good quality olive oil is also a great option for low temperature cooking and for things like mashed potatoes. I’ve also heard of vegan cheeses made from cashews although I’ve never tried them. Good luck! I’ve been a vegetarian and then vegan for nearly 30 years. I’ve kept a close eye on nutrition news all those years. About 13 years ago I became aware of the Weston-Price Foundation, and the anti-soy scare information they posted seemingly everywhere on the net. Since then, I’ve seen the same information recycled over and over by well-meaning writers and bloggers, who took their word for it and never checked it out. These days the anti-soy info is just about mainstreamed, and has filtered down into the vegetarian community. Many vegetarians don’t know where the information came from, and that the source is suspect, but they are quite sure that there is something unhealthful about soy. I am saddened by the blackening of the reputation of the noble and versatile soy bean. As one of the commentators here mentioned, many of the same charges against the soy bean can be leveled at other foods, but only the soy has been so vilified. Also, the Weston-Price Foundation has been very successful in convincing Westerners that traditional use of soy in Asia was very minimal, despite the protests of many an Asian grandma. The chief problem with soy is that it is so versatile, and has been exploited and processed to the nth degree. Simply avoid processed and GMO soy, and stick to it in whole and traditional forms. 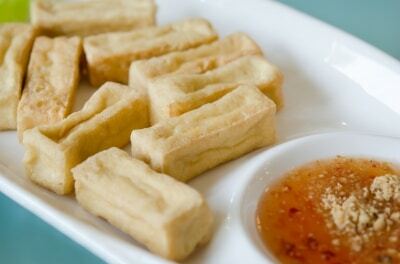 It is not true that tofu is a highly processed food. You see this charge made over and over, but it is no more processed than many of the WPF’s beloved fermented foods. You can make tofu at home in your kitchen. It is a fairly fiddly procedure, to be sure, but something many an Asian grandma does regularly. As a long time vegetarian and then vegan, I say relax about organic and traditional soy. It’s not the bogey-man the internet makes it out to be. But I do prefer almond milk to soy–it’s just a taste thing, and it’s easier to make in my kitchen. Thank you for your respectfully worded comment. The main point that I would like to convey in my article is to avoid industrially processed foods regardless of whether they are meant for vegetarians or not. What I also want to promote in my website as a whole is to know where your food comes from and to encourage folks to make their own food rather than relying on processed food. While I do believe that soy can in fact be unhealthy, I agree that a little organic soy here and there is not so bad. As far as the anti-soy sources being suspect, if you do a little research you’ll see that these claims are not unfounded. There are many studies on the effects of soy. Just to name a few, here’s a clinical study that showed that soy caused reproductive problems in lab mice (http://www.nih.gov/news/pr/jan2006/niehs-10a.htm) or this study that showed the adverse effects of soy formula on infant growth hormones (http://www.highbeam.com/doc/1P2-9990657.html). If anything I think the sources of pro-soy information is far more damming. After all soy is a billion-dollar industry led by GMO juggernaut Monsanto, who owns 90% of the soy produced in this country, while WAPF is a relatively small non-profit organization. It’s not hard to see who has more to gain by promoting the “health” of soy. A lot of pro-soy information out there that can be damaging. So many articles and ad campaigns claim that soy is a wonder food that can cure cancer, so people go out and buy anything with soy in it…soy milk, soy burgers, TVP, etc. These processed foods are simply not good for anyone. The fact is that, like you say, soy “has been exploited and processed to the nth degree”. I totally agree. This is where the problem arises with soy. Because it’s so processed, soy additives are in almost everything and because of the industrial processing, it creates glutamic acids (MSG) and a host of other problems. Yes, you can make tofu at home, but do most people do that? Probably not. Most people buy it at the store, in a package that came from a factory. It’s a similar story with wheat. I don’t think that wheat is inherently bad for us in small doses, but when it’s so manipulated, over-processed, refined, stripped of nutrients and added to everything it becomes damaging. This is why gluten is such a no-no right now. Earth Balance also contains palm oil which is a major source of deforestation in many countries in Asia and South America .Many species such as orangutangs are dwindling due to the palm oil trade. While I do not actively avoid soy, I detest any of the fake meat substitutes as just plain yuck! My mother, on the other hand, lands in the hospital after consuming any product with soy in it (except lecithin). HFCS gets us both with mega severe gut issues! Mostly, we have both gone back to a pre 1960’s diet and are better for it! We love veggies but are not vegetarians. Fish, chicken, pork and beef are staples, along with potatoes and vegetables. Eating healthy is very time consuming if buying packaged food, but is worth the time spent reading labels! I’d like to ask you about Earth Balance. I use the soy free kind and it is sold under the label you commonly see at Whole Foods as Non GMO project verified. Isn’t that GMO free? Just curious because I adore earth balance! Maybe they made a recent change? I recently moved back from Japan and while they eat a lot of tofu, they eat many, many fermented foods. You made a lot of valid points that I saw during my time there and study of food. If the label says non-GMO then, yes it is non-GMO. However, if you read the part in the article about vegan butter substitutes, I say that I wouldn’t consider oils like canola, soybean or grapeseed to be healthy even if they are non-GMO because the industrial processing of those oils create rancidity and very high levels of polyunsaturated fats. You can also click on the links below that section which have more in depth articles about those oils. Butter, ghee, coconut oil or olive oil are much better options. Does ghee have dairy? 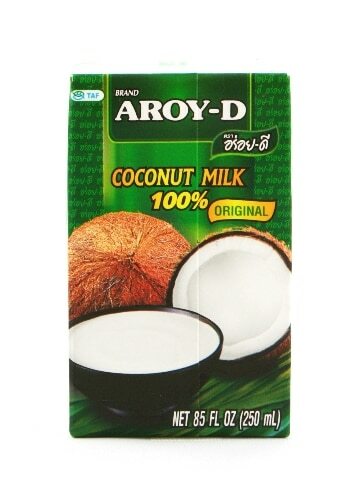 I am a non-dairy person. Would you say that there isn’t a brand of grapeseed that is cleaner than others or do you think its the process, period? Ghee does contain dairy. I have an allergy and have been told that it is not safe to eat. Ghee is just clarified butter. I eat a real food diet, but continue to use earth balance and grapeseed oil because there are not many dairy free alternatives to replace those things with that are affordable or don’t change the flavor drastically. Looking forward to your newsletter. what about tempeh and seitan?…are thy not bette choices for protein? Thanks for sharing….. I have drastically reduce my soy intake ….. especially with my three growing girls. I plan on eliminating it completely. I myself and my children have allergies to eggs and dairy. As I try to hash out our diet we do eat fish twice a week. 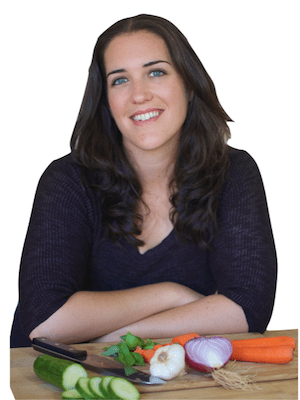 Do you see yourself making a vegan cookbook? What are your personal thoughts on a vegan lifestyle? I eat none of these except for the occasional tofu. When I do eat tofu, I make sure it’s non GMO verified. Homemade veggie burgers are so yummy and way better than store bought anyway. so in a recipe calling for earth balance, can i sub coconut oil or olive oil in n equal amount? It depends on the recipe, but generally, yes. Just watch out because if you use coconut oil in a recipe it may have a slightly coconut flavor, so use it in a recipe that you wouldn’t mind having that flavor. You can also get refined coconut oil which has a less coconutty flavor. This is so funny. Not your article. I just found out that the reason your blog is called “healy”… is because your last name is Healy. I always thought that you meant “heal”-y. Look how well that worked out!